This weekend the Midwest was plagued by some intensely snowy weather. Luckily, the forecast couldn’t keep Mallet Man Mike Dillon down. 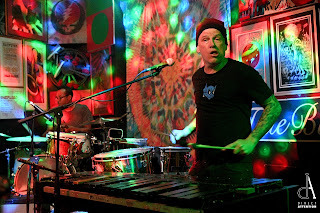 He braved the roads between Missouri and Denver to bring his vibraphone to Be On Key Psychedelic Ripple Room, a reincarnation of Quixote’s True Blue just east of Colfax. Having frequented Jay Bianchi’s Owsley’s Golden Road, Be On Key fell right in line with what I had expected. 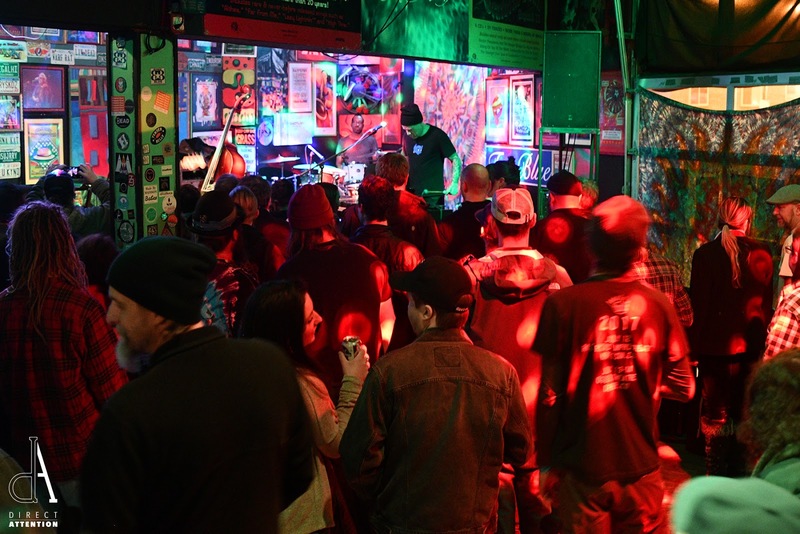 The psychedelic lounge was littered with posters of musicians and past concerts. There were kitschy signs that said things like “Pot Smokers Only” and laughable license plates that read “CSHRTRD” and “DEADHEAD” to ensure no escape from visual stimulation. Topping it all off was a tapestry with the hippy messiah, Jerry Garcia, keeping a watchful eye on the dance floor. The night’s acts stood up to their overstimulating surroundings. Amandla, Claude Coleman Jr.’s passion project, opened the night up after a tumultuous day of travel for the leading man. A kind gesture in the form of a flight from Kansas City to Denver turned into a nightmarish six-hour waiting game at the gate. Even though the show was delayed because of this unfortunate setback, none of the patrons seemed bothered. Everyone could be seen either lounging on the couches, grabbing some drinks, or taking advantage of the pool tables. Once the music started, it wasn’t long before Amandla filled the room with smooth genre-melding sounds. The band played tracks from all three of Coleman’s records, the majority from the newest, Laughing Hearts. 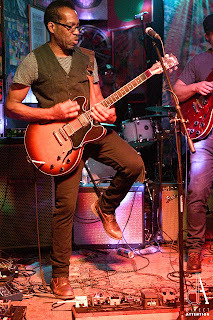 A blend of smooth rock rhythms, bluesy guitar, and a dose of Asheville twang set Amandla apart from the main act. Initially a solo mission for Coleman, he’s finally got a troupe of stellar musicians to bring Amandla to life. The lineup is a testament to the caliber of Asheville’s musicians. Jazz Uries held down the drum kit, with Ram Mandelkorn supporting Claude on guitar, while Simon Thomas George brought flavor to the keys, and Nathan Lambertson stood in on bass guitar. Claude fronts the production playing guitar and singing. Amandla’s unique style and introspective lyrics give listeners an insight into Coleman’s personal and musical journey. 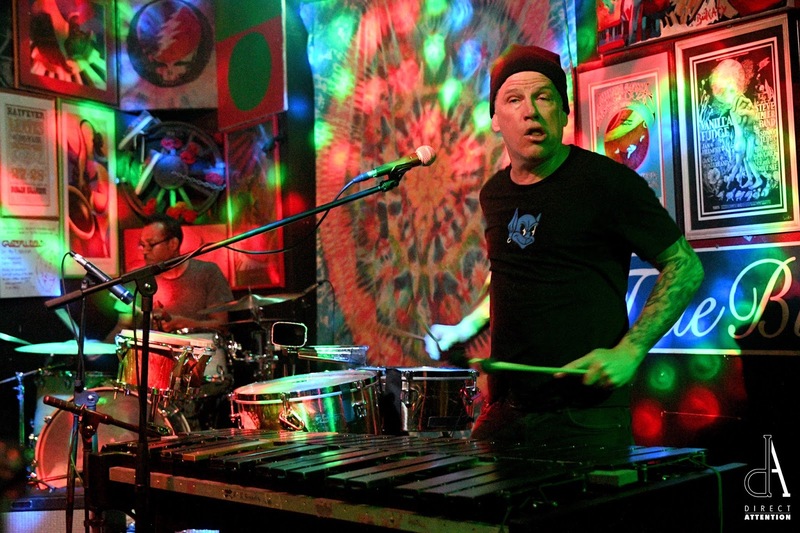 The end of the set didn’t mean the end of the night for Coleman; he and Nathan Lambertson ushered themselves back onstage after a few minutes to play with Mike Dillon. Lambertson played along on standing bass, bass guitar, and synthesizers while Claude backed him on drums. Though Dillon usually has a few more musicians on stage, the trio lacked nothing in sound or depth. Weaving in and out of provocative, self-asserting tunes, Dillon shows no fear when it comes to his trademark style. Notorious for pushing listeners out of their comfort zone, Mike Dillon exhibited quite a few of the tracks from his newest album Life is Not a Football, like the incredibly irreverent pseudo-love song, “Cremate Me.” He also incorporated songs from older albums like “Leather On” from Urn. 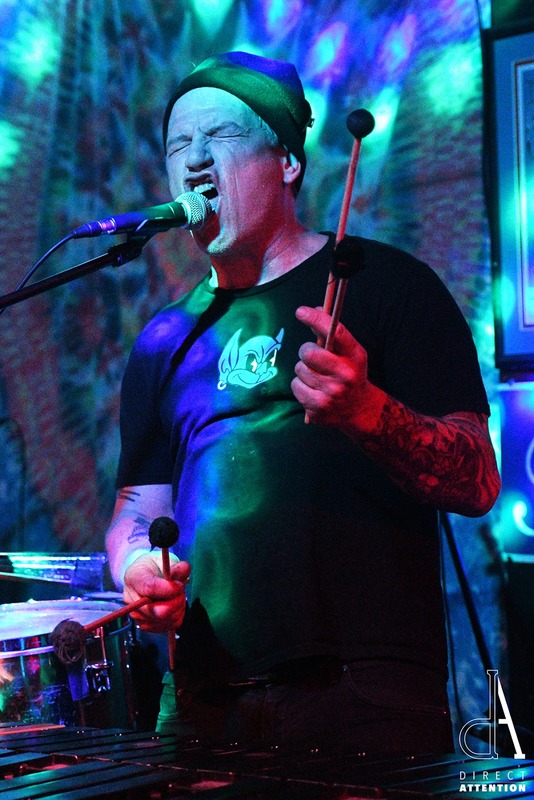 Mike Dillon’s voice is one with merit to be heard in the current age of America. He unapologetically wanes between beautiful melodies and aggressive staccato on his vibraphone and various percussion toys, all the while offering up unabridged commentary on the current state of our culture. All in all, Dillon didn’t disappoint, he brought high energy and dark comedy to Denver on Friday night. A strangely satisfactory mashup of punk rock, jazz, and even an inkling of spoken word put Mike Dillon in his own personal category of musicians. Backed up on the bill by Amandla, this tour isn’t one to miss. Catch these acts Thursday in Portland, OR at The Goodfoot, Friday in Eugene, OR at Whirled Pies, Saturday in Seattle, WA at The Royal Room, and Sunday the 18th in Zig Zag, OR at the Skyway Bar and Grill. Both Life is Not a Football by Mike Dillon Band as well as Amandla’s Laughing Hearts are out on multiple platforms for purchase.